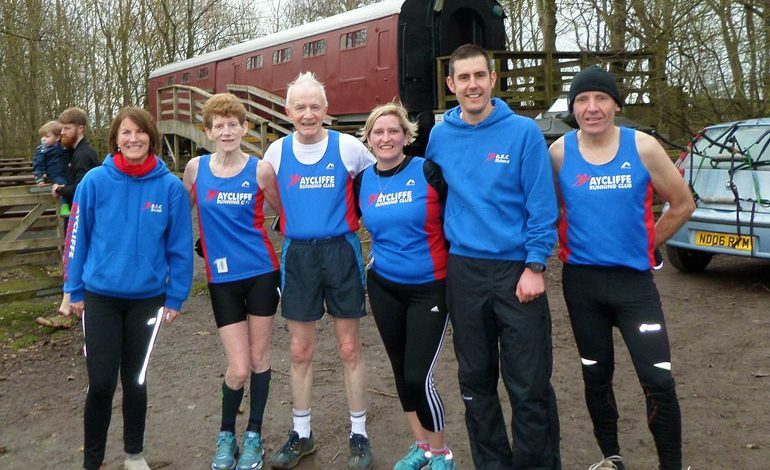 Seven members of Aycliffe Running Club took part in the annual 5k Wynyard Trail Race last weekend. The race is part of the Stockton trail series which run during the summer and the winter. On Saturday the organisers altered the route so that the race was run in reverse making the second mile a difficult uphill section. First home for the club was Peter Milburn in 20:33, followed by Richard Campbell in 21:35, Dave Blewitt in 24:23, Susan Milburn in 25:56, Trish Kay in 27:02, Donna Campbell in 34:03 and finally Ray Todd in 37:31. Pictured above (left to right) is Susan Milburn, Trish Kay, Ray Todd, Donna Campbell, Richard Campbell and Peter Milburn.